At UF, I studied a fossil flora from the Blue Rim escarpment of the Eocene Bridger Formation in southwestern Wyoming. This flora contains leaves, wood, and reproductive structures from multiple horizons. In contrast to the nearby Green River Formation, little paleobotanical work has been done in the Bridger Formation even though it is well known for its vertebrate fossils. The Blue Rim flora allows for research opportunities in systematics, paleoclimate, and paleoecology. In addition, temporal and geographic comparisons both within the stratigraphic section and throughout the Greater Green River Basin can be made. Formerly, as an undergraduate at Hobart and William Smith Colleges, I completed a project on a Late Cretaceous macrofossil florule from the Hell Creek Formation in Montana. My work included both systematic and paleoclimate analyses. I presented this work in Cincinnati, OH at NAPC in 2009 and a manuscript, co-authored by my undergraduate advisor, Dr. Nan C. Arens, was published in 2014 (Geological Society of America Special Paper 503, p.173-207). 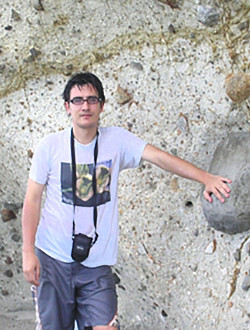 Aom is a paleobotanist from the Palaeontological Research and Education Centre, Mahasarakham University, Thailand. 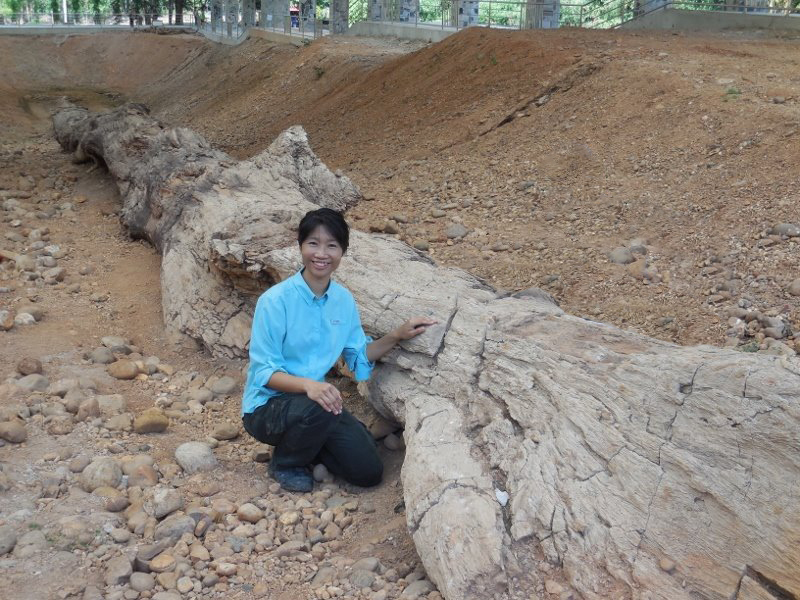 She has worked at the Museum of Petrified Wood and Mineral Resources, Nakhon Ratchasima Rajabhat University, during 2003 – 2015. Her work responsibilities include research, organizing educational programs, foreign affairs, and planning and caring for the exhibits. 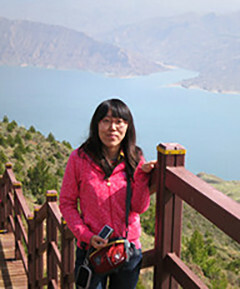 She conducted research on systematic affinities and paleoenvironment of Eocene petrified wood from Southwestern Wyoming, USA, under the Ph.D. program (2008–2012) supported by the China Scholarship Council (CSC). 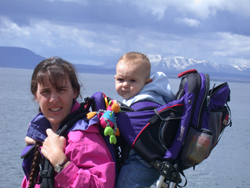 Her research focuses on Cenozoic fossil woods (comparative anatomy, systematic, ecological aspects of fossil dicot woods) and their paleoenvironmental implication. Additionally, she is interested in museum exhibition and developing paleontological parks and museums. Her recent projects are petrified wood exhibits and a conservation project on some of the world’s longest fossilized trees (range from 22-72m long) as well as helping local communities and related organizations in Thailand establish geoparks for becoming a member of UNESCO Global Geoparks Network. Research: Phylogeny of the grape family (Vitaceae) based on morphology. For my dissertation I investigated features of flower, fruit, stem, pollen, seeds, and development among modern and fossil species of Vitaceae to gain an improved understanding of phylogeny and improved classification of this family which is now widely distributed in both the Northern and Southern Hemispheres. In addition, my work in paleobotany has included a review of the fossil seed record of water lilies (Nymphaeceae) with emphasis on a new species we recovered from the Eocene of Shandong Province, Northeastern China (Chen et al, 2004), and I have made a palynological investigations of the Middle Eocene Huadian flora of Jilin Province, Northeastern China using micromanipulation techniques to study isolated fossil pollen grains by both Scanning Electron and Light microscopy. Iju Chen and Steven R. Manchester. 2011. Seed morphology of Vitaceae. International Journal of Plant Sciences. 172 (1): 1-35. Iju Chen and Steven R. Manchester. 2007. Seed morphology of modern and fossilAmpelocissus (Vitaceae) and implications for phytogeography. American Journal of Botany. 94: 1534-1553. 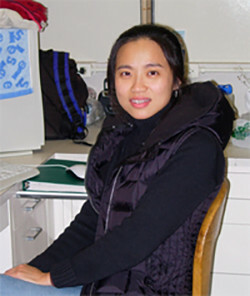 Iju Chen, Steven R. Manchester, and Zhiduan Chen. 2004. Anatomically preserved seeds of Nuphar (Nymphaeaceae) from the Early Eocene of Wutu, Shandong Province, China. American Journal of Botany 91: 1265-1272. 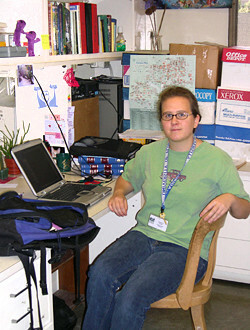 MS, 2004, Department of Botany. Corbett, Sarah Lynn, 2004. The Middle Miocene Alum Bluff flora, Liberty County, Florida. MS Thesis, University of Florida, Gainesville, Florida, 96pp. The Miocene flora of Alum Bluff, Liberty County, Florida, is significant because of the relative rarity of Tertiary, and especially Miocene, fossil plant localities in eastern North America. After conducting a paleofloristic study including leaves, seeds, fruits, and pollen at Alum Bluff, implications for understanding Miocene climate, biogeography, and paleoecology of the region were inferred. 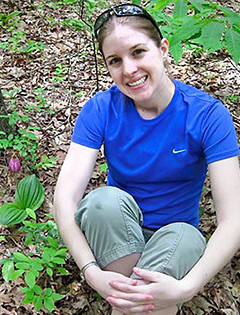 The first study of the flora of the Alum Bluff site was conducted on leaf impressions by E.W. Berry in the early twentieth century. 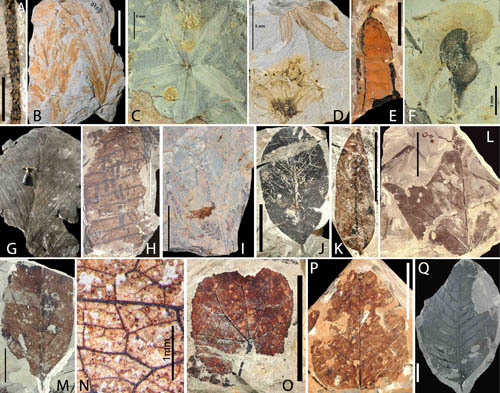 Berry studied only leaf macrofossils and identified 12 leaf species. Recent collections and further examination of specimens reveals 22 identified taxa, seven morphotypes of uncertain taxonomic affinity, and 21 examples of unknown taxonomic affinity are also present in the flora. Berry described the flora as being tropical with some temperate elements found in the Florida panhandle today; however, recent finds such as Paliurus, which is extinct in North America but present in Eurasia today, suggest different floristic affinities and indicate that the flora was warm-temperate. The composition of the flora was compared with modern floras and other Miocene floras to determine the environmental conditions present at Alum Bluff in the Miocene. It was found that the Alum Bluff flora an elm-hickory-cabbage palm forest (similar to that of North central Florida today) occurring along a river or near a river delta. Biogeographical implications of the Florida panhandle region during the Miocene were inferred based on the floral composition of Alum Bluff. The use of fruit, seeds, pollen, and leaves increased the known diversity of the Alum Bluff flora, making it a paleobotanically important case. My interests are in the fields of Paleobiology and Paleoecology, with emphasis in Paleobotany. I am interested in biotic diversity, its causes and how it relates to ecological stability. I am also interested in how vegetation communities have responded to environmental crises in the present and geological past. I would like to approach these questions using paleobiological information by applying mathematical and statistical methods and by constructing theoretical models to understand the dynamics of the vegetal communities in the geological past. I think this information can help us to understand modern communities and their response to the present environmental pressures. Taxonomic rates in plants and its measurement it in the fossil record. The effect of sampling and incompleteness of the fossil record in the measure of taxonomic rates. Construction and use of confidence intervals on discrete sampling schemes. Quantitative analysis of palynological information. Use of geometric morphometrics in palynomorphs. Mass extinction events and their evolutionary consequences. The ecological role of rare species in vegetation communities. Development and construction of strong biostratigraphic frameworks. Measurement of diversity in the fossil record. Testing hypothesis about plant diversification patterns in the tropics. Evaluate the response of the vegetation to climate changes. Modeling and selectivity of extinction and origination episodes. Time series analysis and cyclostratigraphy in continental sediments. Angiosperm evolution; the origin of flowers to the reproductive biology of the first flowering plants. The evolution of diversity in early angiosperms, the recognition of early phylogenic lines of relationship between major taxa, trends in evolution of the group. Tertiary age radiations of angiosperms and their phytogeography. Evolutionary Biology. Plant/animal coevolution. Biostratigraphy, Biodiversity, Global Vegetational Change. 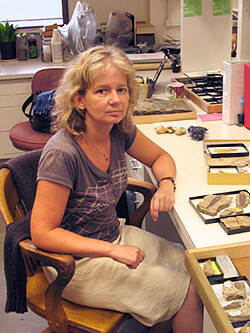 Dr. Boglárka Erdei, Hungarian Museum of Natural History, Budapest. 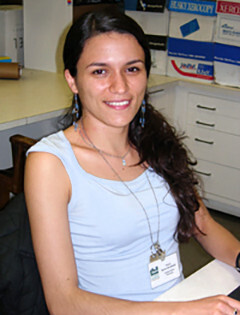 Fulbright Fellowship at FLMNH in 2010, and return visitor 2013, concentrating on comparative investigations of Cenozoic cycads of the Northern Hemisphere and those living today. In addition to studying the nice fossil collection of the FLMNH one of the main focuses of my visit (HAESF Fellowship, 2013-2014) to investigate both macro- and micromorphological, traits of modern cycads that may be useful in tracing and identifying fossil cycad remains. The Cenozoic history of cycads seems to offer findings that probably means a challenge for traditional ideas of the origin of modern genera. During the fellowship as a basis for the investigation of fossils, the excellent living cycad collection of the Montgomery Botanical Center in Miami helps my morphological studies on the leaves, cones, seeds and pollen of cycads. My research focuses on the evolutionary origin of the South American rainforests by looking at plant macrofossils. I am interested to know when and how the tropical rainforests appeared in the Neotropics, what mechanisms have produced the high species diversity and the characteristic family composition. I want to reconstruct the paleoclimatic, paleoecological and paleobiogeographical conditions under which the ancient Neotropical rainforest flourished, particularly during the Late Cretaceous, Paleogene and Middle Miocene. I am also interested on the systematic and taxonomy of Neotropical fossil plants. Wing, S.L., Herrera, F., Jaramillo, C., Gomez, C., Wilf, P., and Labandeira, C.C. 2009. Late Paleocene fossils from the Cerrejón Formation, Colombia, are the earliest record of Neotropical Rainforest. PNAS 106: 18627-18632. My research focuses on fossil leaves and fruits from the Cenozoic of East Asia. Previously, I studied the fossil specimens of Paliurus (Rhamnaceae) in detail, and involved in parts of the work about Machilus (Lauraceae), Cyclosorus (Thelypteridaceae) and participated in a research related to paleo-CO2. My current interests center on the family of Burseraceae from the Oligocene and Miocene of Guangxi Province, South China. I took CT scan experiment for Burseraceae fossil fruits and compared them with the modern samples as well as other fossil records reported before to understand the linkages between them. I hope to gain a better understanding of the phylogeny and biogeographic history of this family. Next, I will also spend time on the fruits of Menispermaceae. The related fossils are also collected from Guangxi Province, and they are mummified, which can uniquely provide us a far more detailed identification feature of the plants. I am also interested in the fossil floras from North America. Then I can compare them with the fossils from East Asia to understand the implications of these macrofossils on their paleogeographic history, paleoenvironment and paleoclimate. The middle cenomanian palynomorphs and selected mesofossils from the Dakota Formation of south central Minnesota were investigated. A total of 218 of palynomorphs were recovered. Terrestrial palynomorphs include 41 types of angiosperm pollen in which six types are described as new species, 42 types of gymnosperm pollen, and 78 types of spores of fern and fern allies. Spores of fern and fern allies are most diverse among the terrestrial palynomorphs. Other palynomorphs include two types of megaspores, ten types of algal spores and colonies, seven types of fungal spores and fruiting body, 18 types of dinoflagellate cysts, and 20 types of acritachs. Based upon the occurrence of Artiopollis indivisus, Balmeisporites glenelgensis, Cicatricosisporites crassiterminatus, Dictyophyllidites impensus, and Nyssapollenites sp., the age of the Cretaceous sediments exposed in south central Minnesota is probably middle Cenomanian. Pollen analysis indicates that wind-pollinated angiosperms probably were not dominant around coastal lakes, swamps, and the inland meandering river areas during middle Cenomanian. There are distinct angiosperm species gradients from coastal areas to inland meandering river areas. Also the coastal lake areas appear to have higher angiosperm diversity than that in the inland meandering river areas. The characteristic vegetational elements of the coastal swamps during middle Cenomanian were diverse angiosperms, dominant ferns and fern allies, and a relative low abundance of gymnosperms. The Trochodendrales and Buxales of the eudicots, which were not recovered from leaf fossil records, probably were present during middle Cenomanian based upon the angiosperm pollen records. Two new marattioid ferns, Goolangia minnesotensis Hu, Dilcher, H. Schneid. et Jarzen gen. et sp. nov. and Mesozoisynangia trilobus Hu, Dilcher, H. Schneid. et Jarzen gen. et sp. nov., are described based on charcoalified isolated sporangia and synangia. These fossils provide evidence for the existence of marattioid ferns during the mid-Cretaceous in North America and give the first unequivocal documentation of the Marattiaceae in post Jurassic times. Spores of Goolangia minnesotensis are comparable with the dispersed spore Dictyophyllidites impensus, which was distributed from Arizona to Alberta in west central North America during middle Cenomanian. 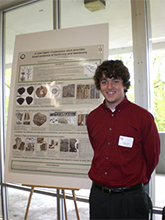 DAVID M. JARZEN is a Research Associate at the Cleveland Museum of Natural History, in Paleobotany and Palaeoecology. Born in Cleveland, Ohio, he grew up in northern Ohio gaining an early interest in biology and natural history of the cool-temperate environment. He earned his B.S. degree in 1967 from Kent State University majoring in Biological Sciences, and two years later received his M.A. degree in Botany from the same institution. In 1973 he was awarded the Ph.D. in Geology from the University of Toronto. 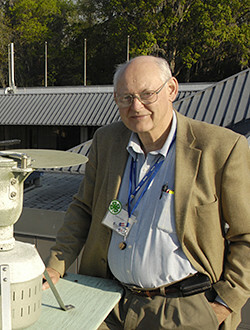 His research interests in the nature of extant and fossil plant life, have provided extensive field work in all regions of Canada and the United States, as well as Europe, Zambia, Ethiopia, Cameroon, Panama, Mexico, Colombia, Puerto Rico, New Caledonia, New Zealand, Fiji, and to several localities within Australia. 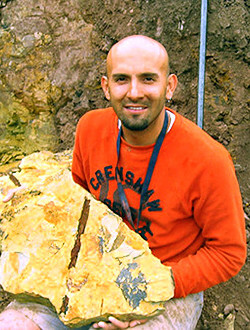 The focus of his work incorporates a global view aiming to understand the evolution of plant life during Earth’s history, with an emphasis on fossil floras recorded from the Paleogene, Neogene and Cretaceous of the world. His publications of scientific papers number about 250, including both professional papers and popular articles. Some of his photography and illustrations have been seen in Scientific American, The Owl Magazine, other popular publications, on the Internet, and in museum displays in Canada, Australia and the USA. His work has been incorporated in several radio and television productions including CBC’s “Nature of Things” with David Suzuki, the PBS NOVA Series, the NHK (Japan) Series “The Miracle Planet”, the National Film Board of Canada, the Discovery Channel and other North American cable networks. His work has been recognised by his colleagues through election as President of the Canadian Association of Palynologists [CAP] (1979-1980), Secretary-Treasurer to the International Federation of Palynological Societies [IFPS] (1984-1988); Vice President of the IFPS (1992-1996), and from 1988-1996 he represented the Canadian Association of Palynologists as Councillor to the IFPS. 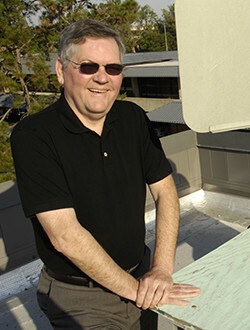 He has served as President-Elect (2000-2001) to the American Association of Stratigraphic Palynologists. He is currently President of the Northern Ohio Geological Society (2013-2014). 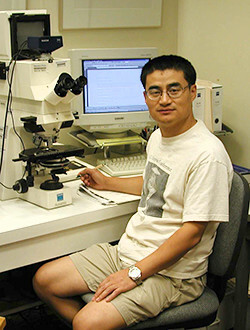 He was an invited Visiting Scholar to the Department of Geology & Mineralogy (1987-1988) of The University of Queensland, Brisbane, Australia, and in 1991 and 1994 to the Botany Department of the same university. In 2005 he was invited to Australia once again, this time to work with colleagues at the Queensland Museum in Brisbane, Queensland. David has been a member of 26 learned scientific societies, including the prestigious Explorer’s Club, as well as the honorary scientific society, Sigma Xi. He has served the scientific community and general public through many slide lectures, videos, CD ROMs, and newspaper and other popular publications. The Palynology and Paleobotany databases at the Canadian Museum of Nature (Ottawa, Canada) were designed and developed by David in co-operation with the Canadian Heritage Information Network (CHIN) and have been used as the hallmark for several collection databases at the Canadian Museum of Nature. At the Florida Museum of Natural History (University of Florida) he completed the restructuring of the 300,000 specimens of the Paleobotany/Palynology Collections, including a 7,700 specimen collection of extant reference pollen, spore and phytolith slides, and has raised the museum standards for research and display to a par with other quality museums. While at the Marie Selby Botanical Gardens in Sarasota, (2002-2003), he enriched the cultural level of educational programs and introduced the gardens and the community to internationally respected speakers through his speakers bureau and lecture series. In 2003, David was elected as Fellow National to the Explores Club, and in 2005 he was elected Fellow of the Ohio Academy of Science. David is listed in American Men and Women of Science, Who’s Who in Ontario (Canada), Who’s Who in Canadian Science, Who’s Who in Science and Engineering, as well as Who’s Who in America and Who’s Who in the World. His extra-curricular activities include music that enhances the soul, nature photography, watching trains, satirical writing, botanical illustration, and all aspects of natural history. With his best friend and wife, Susan, he explores the natural history of the United States at every opportunity. 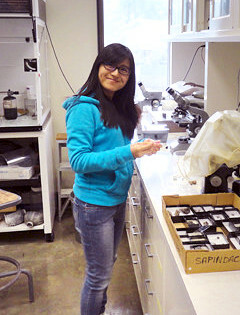 Interests: Fossil woods and fruits from the Neotropics; early angiosperm evolution. Cenozoic paleobotany, paleoecology, paleoclimatology, paleobiogeography. The relationship between plants and climate, and how that can be used to determine terrestrial paleoclimate. The relationship between climate change and uplift, and how plants can be used to document paleoelevation change. Distribution of variability in plant leaf morphology due to climate and phylogeny. I mainly study Cenozoic fossil woods including comparative anatomy, systematic, ecological and their paleoenvironmental implication. Before i come to Florida Museum of Natural History , I studied petrified woods from south China and have completed some researches on Gymnosperm fossil woods of Podocarpaceae, involved in collection and identification of mummified fruits, leaves, pollen and woods from Guangxi, south China. My current work focuses on Cenozoic petrified woods from Northwest US (Wyoming, Montana and North Dakota) and have identified some taxa of Cupressaceae, Euphorbiaceae, and Violaceae. These taxa are similar to fossil woods from south China. 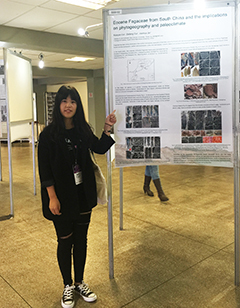 After finishing classification of petrified woods from Northwest US, relationship of Palaeogene flora between North America and East Asia will be discussed according to fossil woods together with other fossil remains, and study the origin, migration, evolution and phytogeography of the recognized species. I am also interested in reconstructing paleoclimate by using growth ring and coexistence approach. I am interested in studying fossil leaves, flowers and fruits of the family Betulaceae and Fagaceae and comparing them with the modern plants to understand the linkage between the fossils and the modern ones. And I also take an interest in understanding the implications of these macrofossils on their paleogeographic history, paleoenvironment and paleoclimate. My research herein mainly focuses on Alnus leaves and reproductive structures (infructescences and staminate inflorescences) from the Eocene of Oregon, western North America. I am very glad to have isolated some in situ pollen grains from a well-preserved catkin under the help of Dr. Steven R. Manchester. Next, I will conduct my research on investigating features of leaves, infructescences, staminate inflorescences and in situ pollen grains under both Light and Scanning Electron Microscopes and comparing them with those of modern species in order to find some implications on the development of this genus. I am interested in determining the floristic patterns of angiosperms and other groups of plants on tropical latitudes during the early radiation of angiosperms using palynology (Lower and Mid Cretaceous), and to infer how those patterns may be related to climate. For my research I will analyze palynological samples from several low latitude sites in Colombia, Peru, Brazil, Surinam, Cameroon, Nigeria and Egypt. I plan to reconstruct the floristic composition of each site and use that floristic composition as a proxy to infer the dominant climatic conditions of each site. Then I plan to use the resulting climatic information to determine the main climatic patterns on the tropics during the unparallel diversification of angiosperms. The results of my research will provide information of the environmental and floristic conditions of tropical latitudes during the fast diversification of flowering plants. This will provide tools to better understand angiosperm evolution: how and under which conditions early angiosperms radiated and diversified in the tropics. 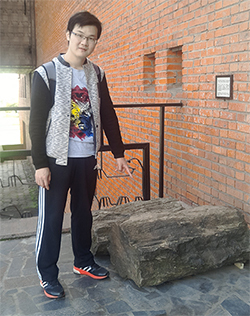 My research mainly focuses on Mesozoic paleobotany and paleopalynology in North China. In this area, there are many localities that yield abundant and well-preserved fossil plants, allowing me to reconstruct the paleoclimate and paleoecology for these areas based on the systematics and morphology of the megafossils. I am just starting my work on fossil spores and pollen collected from the Jurassic and Cretaceous in North China. I am also greatly interested in the arthropod-insect coevolution in geological time and plan to do research on the fossil materials collected from the Middle Jurassic in Daohugou area, Inner Mongolia, to find the evidence of interaction between the plants and the insects. Thesis: O’Leary, E. L. 2007. Taxonomic distribution of modern fin-winged fruits and the fossil history of the Combretaceae in the United States based on fin-winged Fruits. Master of Science Thesis, University of Florida, Gainesville. Manchester, S.R. and E. O’Leary. 2010. Distribution and identification of fin-winged fruits. Botanical Review 76:1-82. Mihai E. Popa, Ph. D.
I study the evolutionary history of angiosperms, using data from both fossil and modern plants (morphology, DNA sequences) to understand phylogeny, character evolution, and temporal and geographic patterns of diversification. For my dissertation, I am studying the fossil record, phylogeny, and biogeographic history of the pantropical angiosperm family Icacinaceae. The Icacinaceae are unique among tropical groups in that they have an extensive fossil record, particularly in the Paleogene, consisting primarily of distinctive endocarp remains. For the paleobotanical component of my dissertation (supervised by Dr. Manchester), I am surveying new and previously described fossils of Icacinaceae from North and South America, Europe, Asia, and Africa, with close reference to modern endocarp morphology across the family. This will allow me to document the ages and former distributions of both extinct and extant lineages of Icacinaceae, which appear to have been important constituents of thermophilic Paleogene floras, particularly in Europe and North America. My phylogenetic work on Icacinaceae (supervised by Dr. P. Soltis) will include a broader investigation of basal lamiid phylogeny (which will be necessary to determine the precise placement and circumscription of the family), as well as a relatively comprehensive examination of genus- and species-level relationships within the family. For both phylogenetic parts, I am sequencing complete plastid genomes using next-generation sequencing technologies. Ultimately, I will synthesize the phylogenetic and paleobotanical components for dating, biogeographic, and diversification analyses, resulting in a comprehensive picture of the evolutionary history of Icacinaceae.